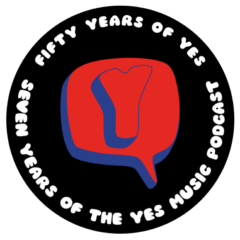 The one hundred and twenty eighth episode of the Yes Music Podcast, featuring a huge announcement and some thoughts on whether it’s worth seeing Yes live in 2014. Is it worth turning out to a live gig? Author KevinPosted on April 4, 2014 October 12, 2016 Categories Episodes, YMP Classic FeedTags Alan White, Chris Squire, Geoff Downes, Heaven and Earth, Jon Davison, live, Migrant Worker, Miguel Falcao, Paul Wilson, Steve Howe4 Comments on Episode 128 – a huge announcement and why bother to see Yes live?